Home »	Patient Stories »	Ryan M.
Ryan Moore’s cancer encounter began with what seemed like a routine stomach bug. But when she woke up one morning with her eyes crossed, her mother knew something was terribly wrong. The culprit: a tumor on the cerebellum—the lower, rear portion of the brain responsible for motor control and function and resulting from cells that malfunction before a child is born. “They said she got an early diagnosis,” said Moore’s mom, Toni Thomas. “They were able to get all the tumor out without touching the pituitary gland. She’s almost as tall as my oldest—4 foot 9 and still growing.”In spite of the positive prognosis, the road to recovery hasn’t been an easy one for Moore. After surgery, the recommended course of treatment was radiation, specifically proton therapy, along with chemotherapy. 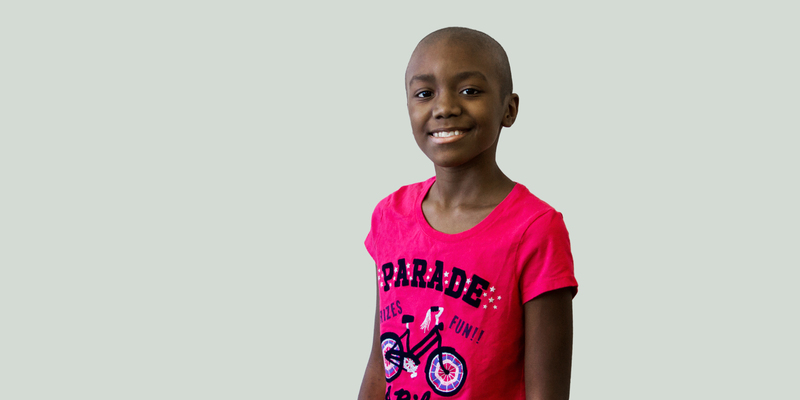 Although her doctors recommended proton therapy centers in Houston and Jacksonville, Ryan’s mom did some research of her own and discovered Provision CARES Proton Therapy Knoxville, which was much closer to the family’s home in Birmingham, Alabama. Ms. Thomas said the thing that stood out right away was the warmth and responsiveness she experienced. “When I called Provision, they said, ‘Let me see who can do this.’ Everybody made themselves very available,” shared Ms. Thomas. The Provision CARES hospitality team arranged for mother and daughter to stay at the Ronald McDonald House. When Ryan was feeling good enough to get out, the two even went to see a car show and a University of Tennessee basketball game, welcoming the break from focusing only on treatments. Early in Ryan’s treatment she encountered a side effect in which the oxygen in the room smelled like “burnt pennies and burnt hair,” her mom said. Her medical team went to work on a solution, eventually finding a eucalyptus air freshener that helped block much of the odor. “The doctors were easy to work with and made the treatment process relaxed and “not scary,” said Ms. Thomas. There were moustache Mondays and crazy sock days. “Ryan is not usually a person who clings to people, but when it was time to go, for her to give hugs like that was major, very major,” said her mom.